Pamir Ministries is a field of Operation Mobilisation, and depends on the regular support of partners in order to reach out to the precious Afghan people through media and discipleship work. Thank you for your partnership. You are making a difference! 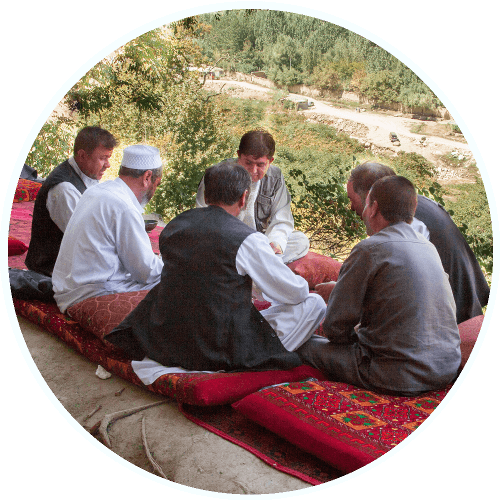 It is possible to give to the work of Pamir Ministries through any OM office worldwide. Simply tell the office that you wish to donate to "Pamir Ministries Fund 0057". Some online options are shown below. Most countries can supply receipts for tax purposes. Supporting team members: Whilst Pamir raises funds for its projects, each member of our team is expected to raise funds for their own salary. If you wish to designate a donation to a staff member rather than OM or Pamir general funds, please be sure to specify their name.